The Food and Drug Administration (FDA) lost its battle Thursday to keep electronic cigarette manufacturers from bringing e-cigarettes to America. According to a report in the Washington Post, U.S. District Judge Richard J. Leon “determined that electronic cigarettes are tobacco products and are not subject to such restrictions.” The FDA had been contending that e-cigarettes were in fact novel and untested drug delivery devices, and as such, had not been approved by the agency for sale to U.S. consumers. "This case appears to be yet another example of FDA's aggressive efforts to regulate recreational tobacco products as drugs or devices," the judge wrote in his decision. The FDA had been confiscating imports of e-cigarettes but had not put together an entirely coherent strategy with respect to the smokeless electronic cigarettes, which heat liquid nicotine into an inhalable vapor. Two suppliers of e-cigarettes brought suit against the agency for the confiscations. According to the Washington Post article, the judge took a further slap at the FDA, callings its stance on e-cigarettes a “tenacious drive to maximize its regulatory power." 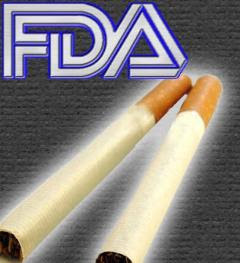 For its part, the FDA maintains that e-cigarettes are more akin to nicotine gum, which is subject to FDA regulation. The agency also questions claims by e-cigarette manufactures that their products "alleviate nicotine withdrawal symptoms." Furthermore, the FDA has voiced health concerns, based on studies showing that electronic cigarettes contain carcinogens and toxic chemicals such as diethylene glycol. (See my earlier post). The e-cigarette makers had argued before the judge that their products are not substantially different than the Marlboros and Salems sold everywhere. As someone who sees e-cigs as potentially the harm reduction product of the century, I find this news hopeful. The University of Florida campus is banning them (as tobacco products) despite my complaints.